The TPG Series Intelligent Food Flavoring Spray Drying Machine is a new spray drying unit which our company has created based on many years of accumulated spray drying production experience. 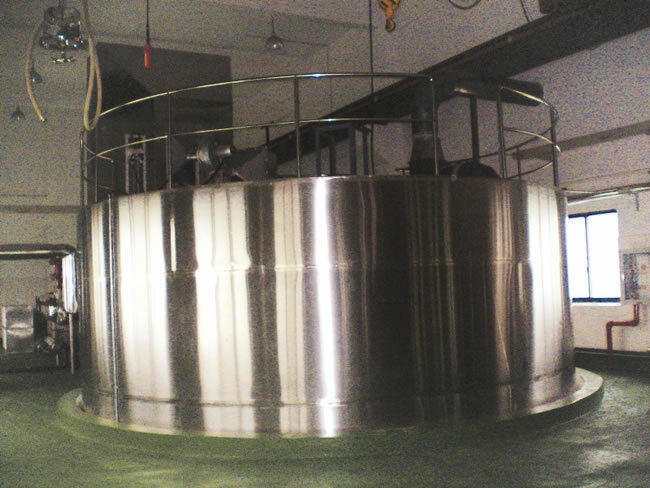 It is suitable for the drying and granulating of emulsion, suspending liquid, pappy-state materials, and so on. Through the use of a spinning cutting in and incoming air, materials are able to be swept from the interior walls, thus preventing any sticking and thus inefficiency in drying. 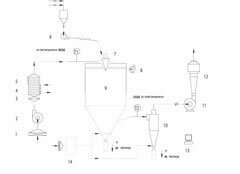 A centralized purification collection system collects the final products and uses intelligent PLC automatic control system and other new technologies, making it a highly advanced food flavoring spray drying machine. Note: The date is changed in accordance with customer's requirement; the above data is for reference only. 1. This unit uses a high speed linear centrifugal atomizer; with a link speed of 16000 rpm, it is suitable for drying and granulating high solid content liquid state materials. 2. This food flavoring spray drying machine uses dehumidification and cooling technology. It is suitable for drying and granulating viscose, oily, or heat-sensitive, materials. 3. This unit uses a centralized purification collection where finished products can be collected in clean room, which achieves the high standard of hygienic requests, and avoids pollution from the outside. 4. 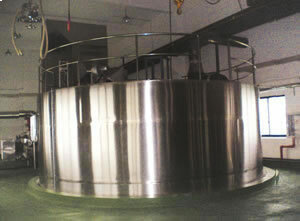 The unit uses three levels of an independent discharging system and multiple-stage washing spray technology to enhance the recovery of materials. 5. Spinning cutting in and incoming air sweep the walls thus solving the problem of any materials sticking to the interior walls of the food flavoring spray drying machine. 6. This unit is equipped with infrared temperature measurement, intelligent automatic control technology. Through real temperature feedback, it automatically adjusts the liquid material feed capacity and guarantees the quality of finished products. 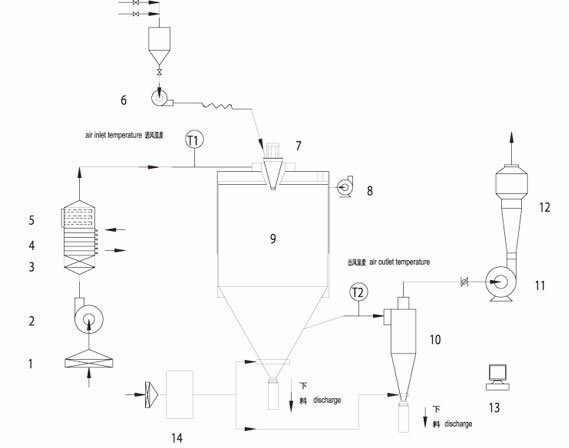 Through the use of program design, encryption, correction, and a PLC operation system, the food flavoring spray drying machine effectively enhances the accuracy of processing parameter execution, thus guaranteeing the products quality and improving the modern production management level. 7. In order to facilitate the use of this unit, the heating source can be electric, steam, fuel, or natural gas, according to the specific situation. 8. Advanced technology to prevent jamming is employed to avoid blockages when discharging end products. The food flavoring spray drying machine is suitable for use with liquid, paste, or damp material, such as: salty essence, bone soup, soil powder, amino acid, vinegar powder, etc. Also it can dry other food additives, powder fish albumen, egg powder, mushroom powder, dextrin, plant extracts, and so on.